7 Kids and Us: Mr. Coffee Single Serve Coffee Brewer Powered by Keurig Brewing Technology $64.99!! Mr. Coffee Single Serve Coffee Brewer Powered by Keurig Brewing Technology $64.99!! 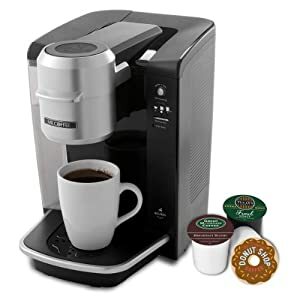 This Mr. Coffee Single Serve Coffee Brewer Powered by Keurig Brewing Technology is 64% off making it just $64.99 + free super saver shipping!